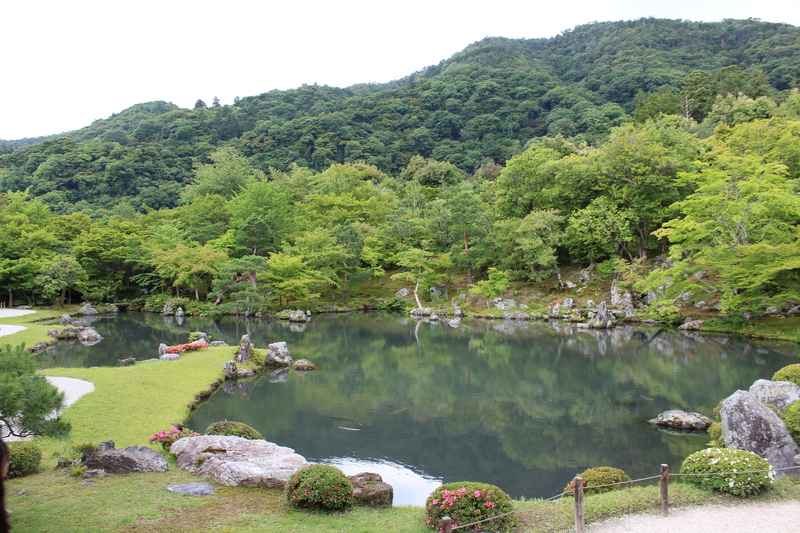 Sōgen Pond (曹源池 sōgenchi) in the Tenryū-ji (天龍寺) temple, a UNESCO World Heritage Site, Kyoto, Japan. If any of you have ever been to Japan, you will most likely agree that the first words that come to mind when reflecting upon your experiences there would be ‘trust’, ‘respect’, ‘humility’, ‘gratitude’, ‘loyalty’ and ‘attention to detail’. It will come as no surprise therefore that the Japanese saying, ‘Ichi-go ichi-e’, which is deeply embedded in to their culture can be one of the main reasons behind this wonderful and kind people. In this article, I will tell you about the meaning of this expression, a story of an ‘Ichi-go ichi-e’ encounter and the recent popularity of its Western counterpart. ‘Ichi-go ichi-e’ stands for ‘One time, one meeting’ or ‘For this time only, never again’; and an even better translation is ‘Treasure every encounter, for it will never recur’. It is derived from Zen Buddhism and concepts of transience, reminding us to cherish all encounters and gatherings which we take part in, citing the fact that no events in life are ever repeated. It is especially associated with the Japanese tea ceremony and is brushed onto scrolls which are hung in the tea room. In the way of the tea, ‘Ichi-go Ichi-e’ reminds participants that even when the same group of people meet again, the gathering will never be the same. Every moment always being once-in-a-lifetime, and so one should honor every moment. This is especially pertinent in the context of our meetings with family and friends; where every meeting is unique and meaningful. On the last day of our MBA trip to Japan, Vladimir, Chris and I sat down for lunch; when a 93-year old man from Kyoto (with a handshake as firm as mine) walked in to the restaurant and asked to sit with us. The waitress asked him to leave and we were not sure what to make of him but he looked harmless – he just wanted to practice his English and share some of his life experiences with us – so I told the waitress that it was fine. As he sat and I told him where we were from, his reply so powerfully resonated with me that I remember the feeling until today – he uttered the words: ‘no nationalities, only human beings’. He went on to tell us about his WW1 experiences and before we left, he said ‘I appreciate the time you spent with me and the experiences you shared about your studies – you are doing something wonderful – I wish you enjoy not only Japan, but the rest of your future – and remember to be good’. The simple act of having been present in the moment is what had encouraged us to invite this man to join us – and the outcome? A positive experience for all of us to remember. This is not an unfamiliar concept. Living our lives to the fullest is a common message in many cultures all over the world. Over the last few decades, scientific research on the mental and physical health benefits of Mindfulness, or moment to moment awareness, has led to Mindfulness practices becoming more and more popular in Western culture. Mindfulness based stress reduction programmes, which include meditation and yoga for example, have even been implemented within global organisations such as Google, Apple, General Motors and many others. These organisations do not invest in such programs because they have nothing better to do but because research has proven that they lead to lower stress and burnout, higher well-being, improved employee performance, decision-making and creative problem solving. Even before smart phones and the Internet, we had many ways to distract ourselves – now this has been dramatically compounded. Our fast-paced society has become the accepted norm that we have all become victims of time to some degree – not living in the present moment but being torn between the worlds of the past and the future – neither of which exist. And to constantly reside in these states, prevents us from enjoying life and finding happiness. Have you ever ruminated after an encounter – wishing that you had done something differently – or regretted not doing something – because for example, you feared what the reaction of others would be or what they would think of you? Have you ever had a magic moment which you will remember forever? Do you wish you had been more emotionally and not just physically present when spending time with loved ones? Do you sometimes think that if all people were grateful for the moments they have, the world would be a better place? In closing, Eckhart Tolle, the author of the best-selling, ‘The Power of Now’ and ‘A New Earth’ said ‘Always say ‘yes’ to the present moment…. Surrender to what is. Say ‘yes’ to life – and see how life starts suddenly working for you rather than against you’. Ladies and gentlemen, we will have this moment forever, but never again. ‘Ichi-go ichi-e’!